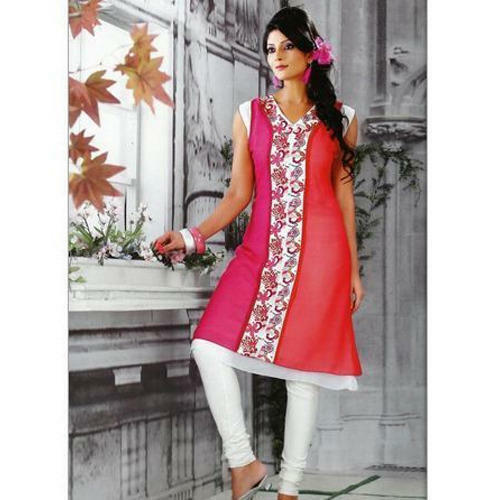 We are a reputed organization involved in the garment industry as a reputed manufacturer of Ladies Kurtis, Womens Tunic and Ladies Legging. Elegant designs, skin-friendliness are few attributes which are valued by clients. We are a leading manufacturer of Ladies Kurtis, Womens Tunic and Ladies Legging are known for an excellent finish, attractive look and elaborate designs. These are exquisitely designed by our highly creative professionals as per latest market trends. We offer them at market leading prices and assure timely delivery of our products.